This article was originally published online at digitaldealer.com. Recently, I was talking to a sales manager who said he’d been in automotive “for the last hundred years.” I laughed in complete agreement; it totally felt that way. He knew the industry. He knew salespeople. He knew car buyers. His gut instincts were solid. That seems to be the case for a lot of the people managing dealership sales. But even the best in the business need new ideas. And bringing data and sales best practices from other industries can be hugely helpful. If you are feeling the need for new ways of thinking about classic problems, try asking these five questions. Are you using the CRM effectively? It’s critical that auto dealers of all shapes and sizes make time for the CRM. As an expensive, complicated piece of software with real business purpose, the CRM deserves attention. Foureyes finds that on average 15% of leads go unlogged in the CRM. Multiply that by the close rate and average net profit per vehicle at your dealership, and you start see a big chunk out of your bottom line. Are you providing ongoing training on how to log, clean, and review customer data in the CRM? Do all your employees log in daily? Do employees know how to pull reports and identify data trends to help sales success? CRM adoption and usage comes only when teams aren’t met with roadblocks and can find value easily. Setting your auto sales team up with routine training and adequate knowledge with regard to the CRM will get you there. Innovation is a cornerstone of the automotive industry. There are thousands of OEMs and vendors trying to make business better for auto dealers and customers. Unfortunately, not everything is a silver bullet and, more importantly, not every tool is right for all dealerships. Don’t let good vendor sales tactics force you to overspend on technologies providing no ROI. If you’re not sure about the ROI from your tech stack follow these simple steps. Step one, review what you’re paying for. Check in on where you are most likely to bleed money— tools that haven’t been logged in to or were adopted for a one-time need are red flags. Next, 36.8% of employees believe their company’s technology is outdated, so ask your marketing and sales teams their opinions. What do they like or not like to use? What do they use daily versus monthly? Step two, look at customer engagement data. If follow-up engagement has been consistently low, rethink that old email tool. Significant increase in website downtime and broken forms? Time for a new website provider. Keep the tools your team enjoys using and feel empowered to get rid of, or update, solutions as your business grows. Have you reviewed customer feedback lately? Star ratings can make or break businesses. Today, managing the dealership’s online reputation and proactively asking for reviews is second nature for most auto dealers. But when is the last time your team actually read those reviews or responded? While the main purpose of star ratings is to make a good first impression to potential customers, it’s easy to forget about the value and insight in buried in the associated written responses. Do you know what your customers are actually doing? Google’s insight into auto shopper behavior has proven priceless in automotive. Instead of squashing the auto retail model, these insights serve to spark evolution and change. As an example, 71% of a car shopper’s digital interactions with the dealership occur on mobile. And so, auto dealers and vendors increase R&D resources to improve the mobile customer’s experience. Regardless of what the ‘auto influencers’ and vendors say, it’s up to your dealership to analyze what your specific customers actually do. Are your customers really checking competitors while on the lot using Facebook? Does your phone ring off the hook? Maybe your website does the heavy lifting instead? Rural versus urban. Big versus small. High median income versus low median income. Each dealership, each market differs. Look at your dealership’s marketing strategy and adjust ‘best practices’ based on your customers to affect real change to your bottom line. Does your follow-up meet the needs of customers? Most consumers in 2019 are contributors to the sharing and on-demand economies. They expect deliveries in two days or less, ride e-scooters they rented off the sidewalk, and go to the doctor via webcam. 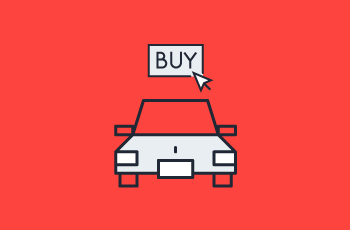 Auto shoppers are no different and dealership’s need to evaluate their marketing with this in mind. Shoppers still want to test drive a car before they buy, but they also increasingly expect information to materialize versus having to seek it out themselves. Adobe reports that while 61% of consumers prefer email as an information source, 34% of consumers get frustrated when brands recommend items that don’t match their interests. To keep up, take a serious look at your communication and follow-up process. Do marketing and sales emails deliver information automatically? Does email content dynamically update based on inventory changes and time? Are messages relevant and personalized to each customer’s preferences? New, better email tools are out there, find one and use it. Take what you’ve learned and make change. Get rid of those expensive systems that aren’t being used. Ask your marketing partner about adjusting your paid strategies to match your rural market. Adjust your follow-up process. Having evaluated your sales and marketing, you’ll have a clear to-do list unique to your dealership’s needs and pain points. Learn more about how Adpearance caters to our auto dealers specific marketing and sales needs.